What can your business do to get inside the minds of your shoppers and drive sales? Have you ever wondered why so many fast-food companies like McDonald's and Burger King use red in their logos? Many people argue that it's because psychologically the color red makes people feel hungrier. Others argue that it’s just a bright color that attracts attention. Whatever the actual reason, these companies are using psychology to bring people through their doors — and it works. But what can your business do to get inside the minds of your shoppers and drive sales? If you want to make an impression on shoppers, take a look at these five psychology-based tips to boost your sales. Have you ever bought something just because it made you smile or excited you? I think it’s safe to say we all have at one point. According to Antonio Damasio, a professor of neuroscience at the University of Southern California, emotion is a necessary ingredient to almost all buying decisions. Whether that purchase is your favorite candy bar or your dream car: We don’t always weigh the pros and cons before buying an item; we’re just lead by our feelings. 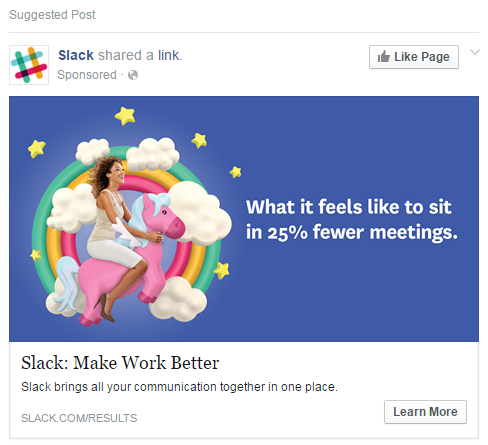 Take the following from Slack as an example; notice how it's playing to the emotions of its audience. It's showing users how happy and carefree they’ll feel when they use the product. So, instead of telling your audience members how awesome your product is by showcasing its features and specs, tell them how it will make them feel when they use it. If you can evoke emotion in consumers, they’ll be more likely to form a connection with your brand and buy. Have you ever driven past a new restaurant in your neighborhood, seen a line out the door and down the sidewalk and thought, “Wow, that restaurant must be really good; we should go there!" That’s an example of social proof in action. When consumers see that a product or service is loved by others, that product/service suddenly gains a greater perceived value. The power of social proof is further demonstrated by the fact that, according to Siegel Research, nearly 95 percent of shoppers read online reviews before making a purchase. By showcasing social proof on your website or in your marketing, in the form of customer reviews, testimonials, ratings etc., consumers will jump at the chance to join the in-crowd by buying from you, too. Create a "fear of missing out." The fear of missing out, otherwise known as FOMO, has become a popular phrase in today’s culture. The term usually refers to people who can’t stop looking at their smartphones for fear of missing out on a post or breaking news. But your business can actually use FOMO, too, to encourage users to buy. 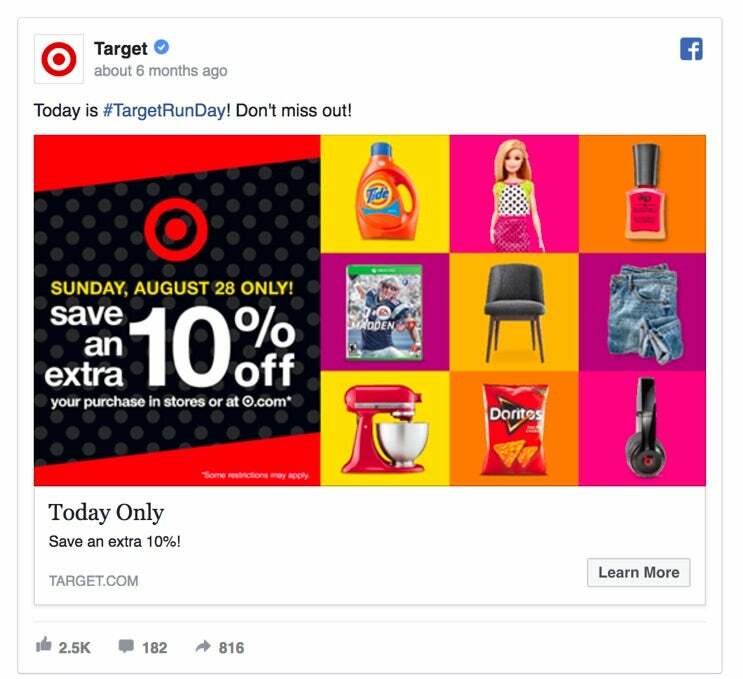 Target does this well in the ad below by promoting a one-day sale and even using the phrase “Don’t miss out” in the copy. By creating scarcity, notifying users you only have a limited number of items left, for instance, or creating urgency with a one-day sale, you can convince users that the only time to buy is now. So, try holding a flash sale or offering a coupon for a limited time only. You could also integrate visual cues like a countdown timer, via a plugin like Countdown Timer – Widget Countdown, to increase even more of a sense of urgency. The psychology of reciprocity works like this: When someone gives us something, we feel compelled to give them something back in retur. Have you ever been offered a free sample in the grocery store and felt obligated to buy the product after accepting the free sample? That’s a real-life instance of reciprocity in action and you can use it to boost your sales, even if your business is only online. For instance, you could offer users a free download of a PDF guide. Once they accept the free gift from you, they’ll be more likely to buy your products. Even if you can’t offer something free up-front, you can offer shoppers a free gift when they make a purchase. People love getting free gifts and they’ll reward you for your generosity by becoming customers. We all know the story of Goldilocks: When she discovers three bowls of porridge, she chooses the one that’s “not too hot, not too cold, but just right." Consumers practice “the Goldilocks effect” all the time while shopping. They look not for the cheapest or most expensive option but the one that’s right in the middle. This works when all of your products are similarly priced, too, because consumers tend to be drawn to the middle option anyway. 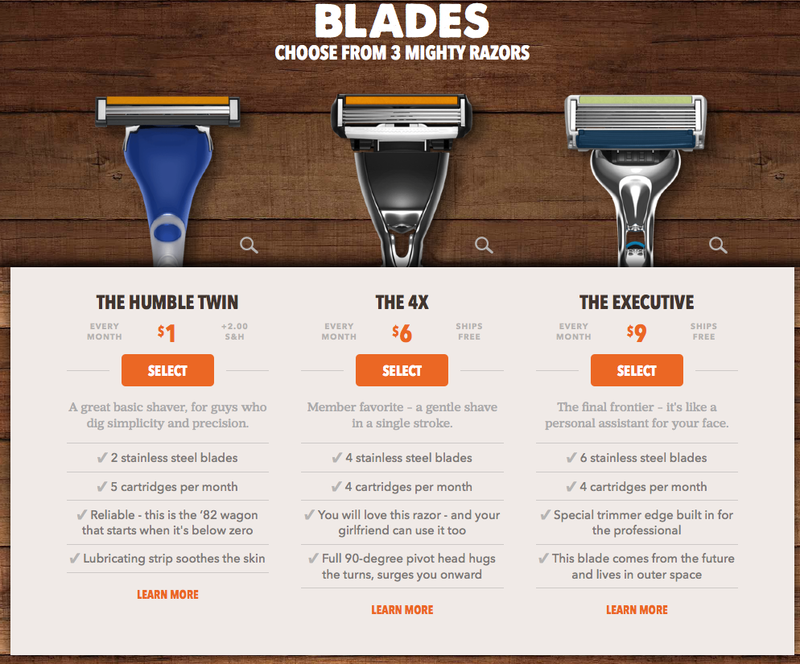 Look at this example from Dollar Shave Club: It shows three razors, and the choice in the middle is a “member favorite” at a mid-price range. Showcasing your products this way is a great strategy to steer consumers in the direction you want them to take. Instead of having shoppers go for the cheapest option, you’ll boost sales by highlighting your top product — or whatever product you want to drive sales to — in the center. If your products aren’t selling, use some of these psychology tips to get inside the minds of shoppers. Understanding what makes people tick will help your business connect with your audience on a real level and boost your sales as never before. Just remember to always be authentic and honest; otherwise, smart consumers will see right through you.